Smoothies are a great way to lose weight. They are extremely nutritious, delicious and easy to prepare. In the following article, we will share some smoothie ideas suggested by celebrity trainer Vinod Channa. Weight loss: Try banana and kale smoothie for quick weight loss. Celebrity trainer Vinod Channa trains many Bollywood celebrities like John Abraham, Shilpa Shetty Kundra, Ritesh Deshmukh, Shamita Shetty and Harshvardhan Rane. Fitness trainer has helped some big names to stay in shape and become fit. Whenever we talk about workouts and fitness regime we must not forget that exercise and nutrition go hand in hand. A good nutrition can help you perform better and speed up your weight loss goals. 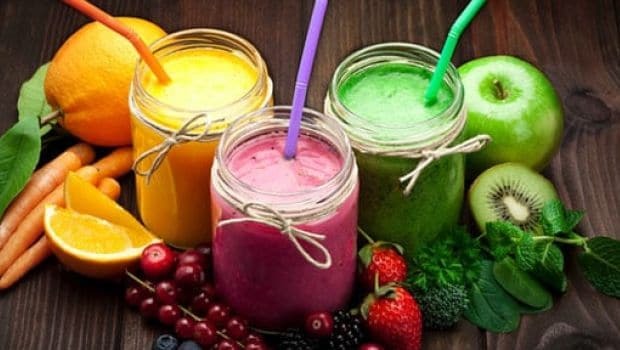 In the light of this statement Vinod Channa shared some smoothie ideas which are great for weight loss and can be eaten as a post workout snack. His Instagram post said, "Get your vitamins, minerals, fibres, protein, antioxidants with these easy, quick and tasty breakfast smoothies. You can also include it in your diet as a snack or mid meal." Whenever we talk about workouts and fitness regime we must not forget that exercise and nutrition go hand in hand. Smoothies are a great way to lose weight. They are extremely nutritious, delicious and easy to prepare. You can use some healthy ingredients to make a perfect smoothie which helps you shed those extra kilos. These ingredients include nuts and seeds, fruits of your own choice, Greek yoghurt or even vegetables. Smoothies keep you full for longer and can be consumed anytime during the day. 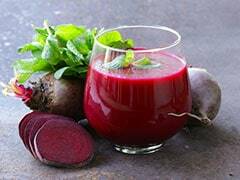 In the following article, we will share some smoothie ideas suggested by celebrity trainer Vinod Channa. The ingredients that go into this smoothie are kale, pear, lemon, matcha powder and pear. Kale is a green leafy nutrient-dense vegetable which offers several health benefits. Rich in fiber it helps you keep full for longer and improves your blood sugar levels as well. Pear, the mouth-watering sweet fruit will give a nice flavour to your smoothie. Extremely healthy smoothie prepared by banana, oats, yoghurt and milk. This smoothie is perfect after or before your workout. This is because the fruit banana is rich in potassium and can help prevent you from muscle cramps. Oatmeal is rich in fibre and will give your smoothie a nutty flavour. Yoghurt and milk are rich in calcium and proteins which will add to the nutritional value of this smoothie. Super delicious and nutritious at the same time, this smoothie is made up from honey, almond milk, raw cocoa and banana. Honey is an healthy alternative as compared to refined sugar. Though, even honey should be used in limited quantities. Almond milk is rich in proteins and cocoa enhances the flavour of your smoothie. This protein-packed smoothie will keep you satiated for a long duration and thereby prevent you from overeating in the next meal.